Thanks for another amazing Paint the Town Blue season! 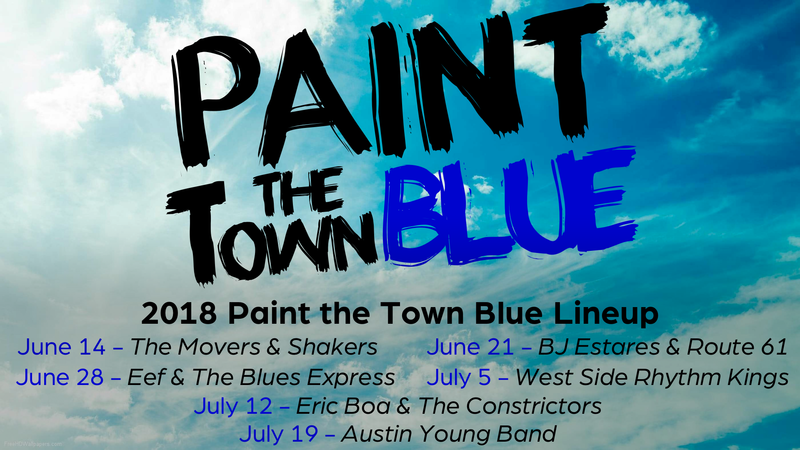 Thank you, Blues Community, for making Paint the Town Blue (PTTB) 2018 a great success. Your generous donations come back to you in the form of PTTB talent, membership appreciation events, Showcases and inspiring Quarterly Blues Jams on the big stage at Stargazers, and Elegante Blues Nights. PPBC presents the International Blues Challenge competition on August 19th at Stargazers and will be sponsoring the winning band, and duo/solo acts in the 2019 Memphis competition. This, and much more can be done because of YOU, the blues community, and your donations. Join PPBC to receive Blues News via email and valuable perks totaling more than the $30 annual membership fee. SEE YOU NEXT YEAR @ PAINT THE TOWN BLUE 2019! !